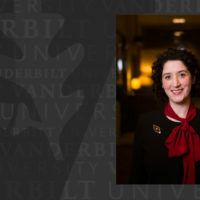 Vanderbilt University Board of Trust Chairman Bruce R. Evans has appointed a Chancellor Search Committee for Vanderbilt University’s ninth chancellor. The committee comprises current and emerita members of the Board of Trust and will lead efforts to search for and select a candidate for recommendation to the full Board of Trust. One of the Chancellor Search Committee’s first steps will be appointing a Chancellor Search Advisory Committee of faculty, staff, students and alumni to provide input on the priorities that they believe the next chancellor should address, as well as the qualities that individual must possess. The Chancellor Search Committee will also identify a national search firm to assist with the search. 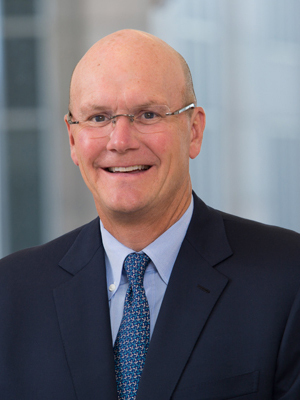 Jon Winkelried, Board of Trust vice-chairman, Co-CEO of TPG Holdings / TPG Capital LP. On April 2, Chancellor Nicholas S. Zeppos announced his plans to step down as chancellor August 15 following 11 years of service in the role. The Board of Trust has confirmed Provost and Vice Chancellor for Academic Affairs Susan R. Wente to serve as interim chancellor beginning August 15. Updates on the chancellor search will be shared at vu.edu/chancellor-search.